The only problem is that it was not until recently that it was discovered that if you follow a specific strategy you could actually beat your partner. The game is a rather basic concept. It is the idea that you and a friend are detained for a crime. 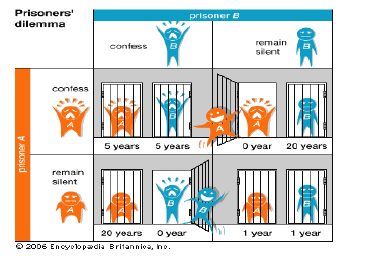 You are given two options, you can either snitch and go free and allow your friend to spend the maximum amount of time in jail, or you can stay silent and hope that your friend does the same. Your friend may snitch and if they do and you do not you will serve the full amount of time for example 1 year. Your friend may snitch, and if you do as well then you will split the full amount of time and both serve 6 months each. You both may remain silent, and if this is the case then you both will go free. The theory behind the game was not to risk taking your chances and just simply confess, and that way you could guarantee that you would not end up serving the maximum jail sentence. You would only serve half the sentence at the most and nothing at the least. The new theory only works if you play multiple rounds. A person that quits after the first round will not be affected by the new theory, so only read on if you are interested in finding a way to beat the system in multiple rounds. Most people thought that the pattern was to follow a strategy where they would simply copy what the player did to them in the previous round in order to ensure that you would only serve the same amount of time that your opponent would. The only problem with this strategy would be that the game would basically end up being a wash which would tie both opponents and what is the fun in that? A recent discovery or theory realized that there was a way in which you could beat your opponent as long as they were not implementing the same strategy. It is the theory that you do not base your decision on what your opponent previously did, but you weigh your decision based on the likelihood of what you opponent will do the current round. 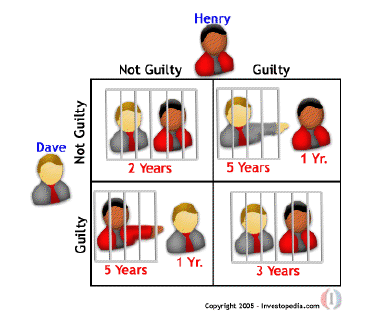 You wager a longer sentence based on this strategy which in turn will have your opponent end up with more jail time. Many true life strategies or theories have been based around this thought process. Therefore, the fact that there could be a change in the entire theory behind the reasoning could greatly change a lot of things such as economics, trade, and other types of business negotiations. 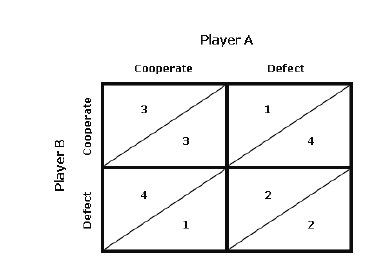 The theory has created quite an upheaval in the world of the Prisoner’s Dilemma, and has left the creators scrambling for an explanation or a correct. It is rather surprising that the theory would come after such a long period of time has passed, but it just goes to show that sometimes a fresh pair of eyes is all that is needed in order to spot an error or find a hole in a thought process. It will be interesting to see how things change once all the dust settles around the announcement of this theory and what the response will be to the announcement of the new theory. It has only been a couple of months since the announcement, but quite a lot of people are still stunned by the shock. Author Bio: This post is written by Jason Phillips, a freelance blogger and writer. He mostly writes on the topics like gadgets, technology and video games. Click here to know more about his articles.